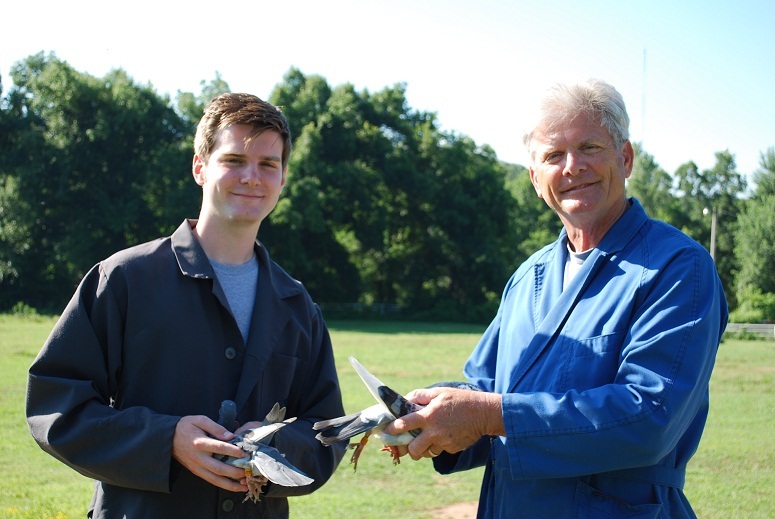 MILA, AU 2011 LAMBERTON 130 blue hen, is the nest sister to AU 2011 LAMBERTON 129, a pencil hen that was purchased from Lamberton Racing Pigeons by Antonio Dias and scored 10th place out of 249 young bird entries in the 2011 East Meadow Bond Race. Their father is PACER, AU Elite Champion #109. 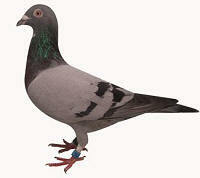 Their mother is the YOUNG CHRISTINE, an excellent breeder bred from the excellent pigeons of Gustaaf Cuypers, Belgium. 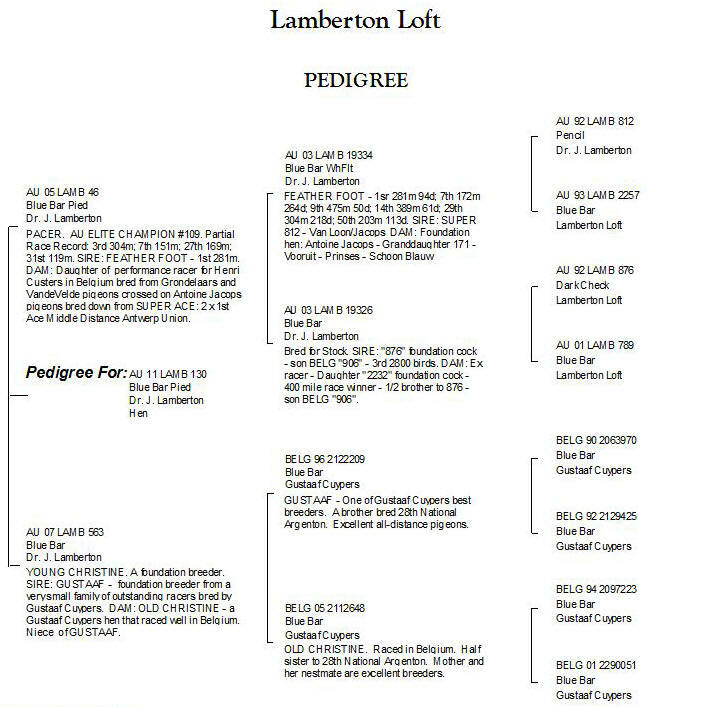 129 and her next sister MILA (130) are full sisters to PACESETTER, AU 2011 LAMBERTON 80 pencil white flight male that was an excellent racer and excellent breeder. MILA is the mother and grandmother to excellent racers including DOROTHY, equal 1st prize FROM 250 MILES and The TIN MAN, 3rd prize at the 2013 CBS TWISTER Races of Rick and Steve Mardis, Moore, Oklahoma USA and 2 times equal 1st from 125 and 300 miles in the 2015 San Diego Classic Holiday Races, San Diego, California, USA.